A Diamond Select Release. The most popular super hero in the world is swinging into a neighborhood near you thanks to this unstoppable Marvel Select Spider-Man. Each Marvel Select figure stands over seven inches tall and features multiple points of articulation, plus a deluxe display base. 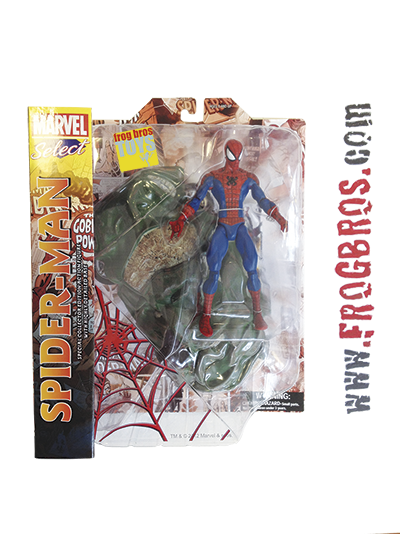 This classic Spider-Man is perfect for any collection or the casual Spider-Fan.